Hljómsveitin Jónsson & More er tríó sem starfrækt hefur verið frá árinu 2008. Tríóið leikur frumsamda jazztónlist þar sem kennir ýmissa grasa, allt frá frjálsum spuna til lagrænna og íhugulla tónsmíða. Tríóið hefur lokið við upptökur á sínum fyrsta geisladiski og eru þessir tónleikar því liður í útgáfuveislu af því tilefni. Tríóið kom síðast fram á Jazzhátíð Reykjavíkur 2010 þar sem það hlaut lofsamlega dóma fyrir leik sinn og verður því án efa fróðlegt að sjá hvernig leikur þeirra hefur þróast síðan þá. 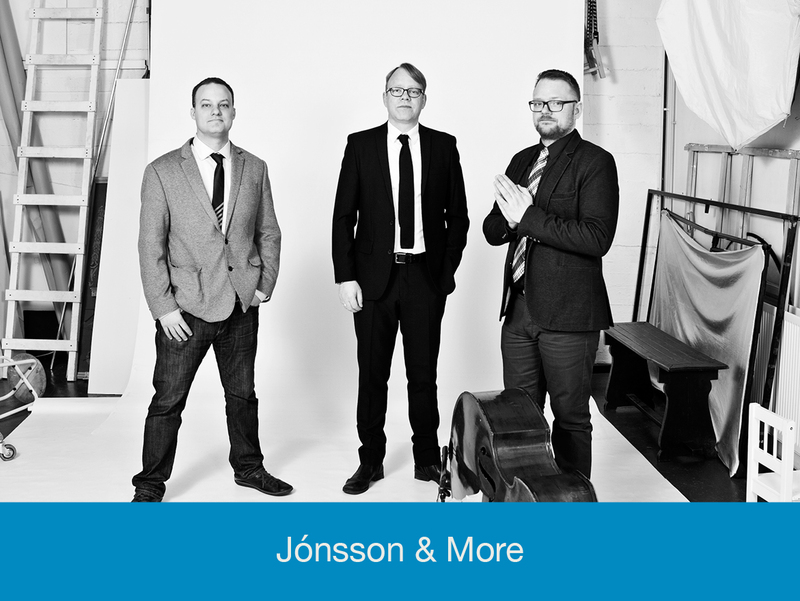 Jónsson & More is a trio that was formed in 2008. The trio plays original music that can be described as combination of free improvisation and lyrical contemporary jazz. This concert will mark the release of their first album. The trio’s last performance at the Reykjavik Jazzfestival in 2010 was met with rave reviews so it will be interesting to see how they have progressed since then.